Discussion in 'BNK48 Members' started by Naomi, Jun 29, 2010. Story about her and the Thai Festival. "AKB 48's overseas sister group BNK 48 who is based in Bangkok, Thailand appeared in "The 19th Thai Festival" at Yoyogi Park in Tokyo on 13th. 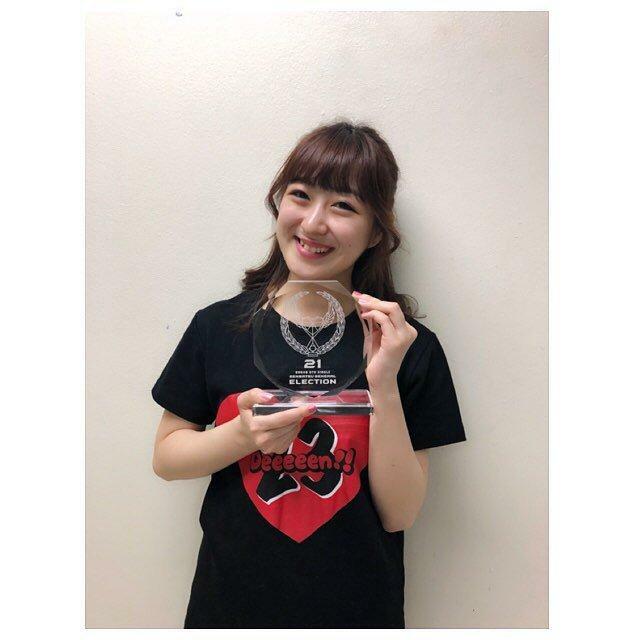 For Izuta Rina (22) who transferred from AKB 48 in July last year, it was the first triumphant live performance." "I live in a condominium near Bangkok center and transfer to the workplace by train and bus. It is good to eat the local food except for the [water]." they start doing some promotional for Kimi wa Melody. and Cake is sick. so they perform by 20 members. and it's seem like Izurina going to sub for Mobile in promote period. Izuriina has now entered the BNK48 election. Her form says that she would like any senbatsu place, so from 1 to 16. I really hope she does make it into their senbatsu! I hope she'll make it into senbatsu too! Happy Birthday Izurina! I wish you all the best for your future! A news article and some pics. "In the outdoor music festival "CAT EXPO 5" held on the day before the birthday, she appeared as one of 16 selected members, showing off several songs from the "BNK Festival" to the last "Falling Fortune Cookie". On the 26th is an instructor at BNK Festival - Osaka BNK Festival - Rena yesterday was the first show This song is really fun It is fun to sing and dance with everyone together, "posting on stage, and with many blessings" You I'm feeling very happy when I see the smile on my face. I always get something healthy and thank you from now on!" Happy Christmas to all Izurina fans..
She is not that popular but she is very well respected by members and fans. Language was big barrier for her so she can't use her varity talents as much. She is also not the type that Thai guys would go head over heels for. I believe though that there are a lot of secret supports for her from other fandoms as people see that she help their oshimens on dance practice and stuff. Can't belive she finally ranked in an SSK! 21th is amazing! Story in Tokyo Sports about her ranking. "The sister group "BNK48" of AKB48 based in Bangkok, Thailand holds the first election "BNK48 6th single elected general election" (1st BNK48 general election). A voting event was held in Bangkok on the 26th, and Rina Izuta (23) who moved from AKB in July 2017 ranked 21st. While crying at the stage, Izuda said, "I felt sad and lacking in the preliminary results and felt a sense of defeat, but everyone in the fans said" Do not lose "" Let's work hard together " So I ended up trying hard not to lose.I thank you very much, everyone. " A big cheering came from the fans when asked "Can I stay at BNK 48 for much longer?" Since being known as an effort from the AKB era, my language skills are visibly improving. Actively communicated with local members. "Even if all the members are pleased with the rank-in of Izuda, you probably have established a character to be loved, at least for the next three years I pledge to contribute for the group"